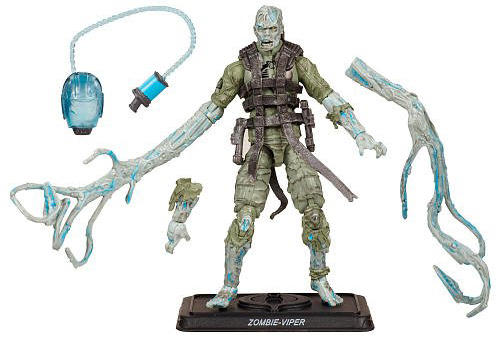 Our first reveal in the "Win What You Want" giveaway is the brand new GI Joe Zombie-Viper. Zombies are a lot like potato chips - you can't have just one. 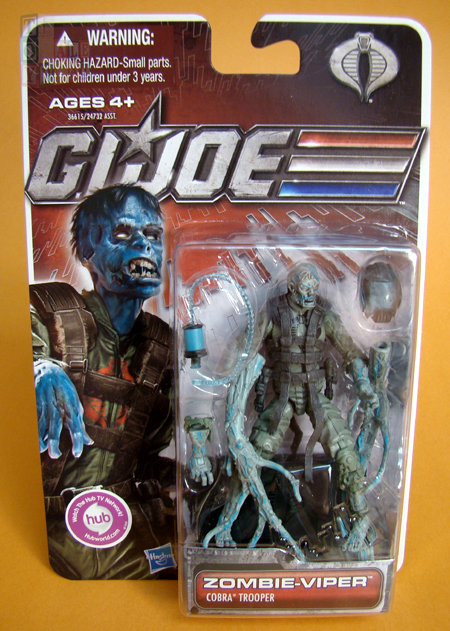 If you're our grand prize winner, you could choose to take home this GI Joe Zombie-Viper. But be forewarned, their appeal is infectious. If this is your first zombie, it likely won't be your last. The phrase of the day for Monday, March 5 is "Remember, a Cobra is a snake and snake is sneak spelled sideways!" Post that phrase exactly as it appears here as a comment to this Facebook post and your entry is complete for today.